SOUTH CANAAN, PA (August 31, 2015) - The Chamber Choir of St. Tikhon’s Monastery, a professional vocal ensemble under the auspices of America’s oldest Orthodox monastery, will give a concert in New York City on November 12 at the Roman Catholic church of St. John Nepomucene at 66th and 1st Ave. 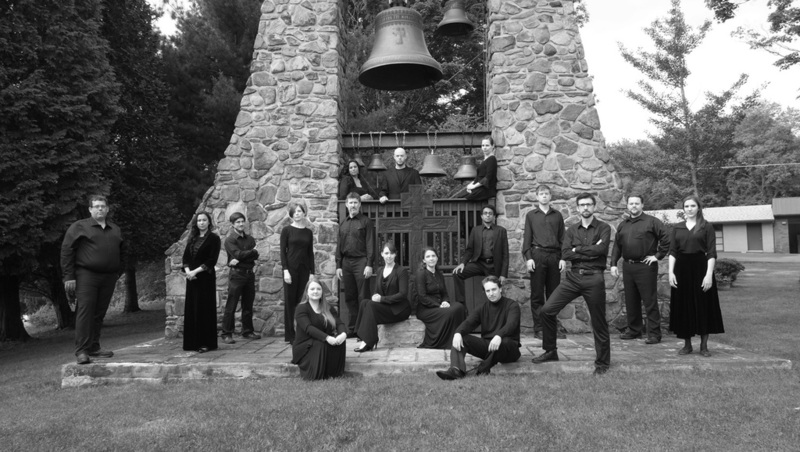 The concert will celebrate the release of the choir’s forthcoming debut album, “Till Morn Eternal Breaks: Sacred Choral Music of Benedict Sheehan,” and proceeds from the event will benefit St. Tikhon’s Orthodox Theological Seminary. The performance will consist of original compositions, arrangements, and transcriptions by composer and conductor Benedict Sheehan, resident music director at St. Tikhon’s Seminary and Monastery. Several works on the program will be receiving their world premiere performances that evening, including Sheehan’s Triduum Paschalae, a three-movement work for chorus and soloists based on medieval English poetry and poems by Gerard Manley Hopkins. Among those giving solo performances on the evening will be Portland-based baritone John Michael Boyer, known for his work with Cappella Romana, and soprano Laura Soto-Bayomi of the Chatauqua Opera Festival and the Bard College Conservatory of Music. His Eminence, the Most Reverend Michael, Archbishop of the Diocese of New York and New Jersey and Rector of St. Tikhon’s Seminary, observed that the upcoming concert is an example of the ongoing close cooperation between St. Tikhon’s Seminary and Monastery, which have existed in a symbiotic relationship for the past 77 years. Archbishop Michael also noted that this concert, the first joint Monastery and Seminary effort of its kind, represents “a deepening commitment on the part of both institutions to fostering excellence in the liturgical arts." Archimandrite Sergius, abbot of St. Tikhon’s Monastery, said that the concert and the CD it celebrates represent an important milestone in the development of Orthodox musical culture in America. Archpriest Steven Voytovich, Dean of St. Tikhon’s Seminary, shared his excitement about this joint effort in developing liturgical music.